1. Jump into your Partnerize account. 3. On the right hand side click the blue download icon to bring up the Report Download Options. 4. Copy the JSON API Link in the upper left hand corner. 5. Return to the Affiliate page in your Geniuslink Dashboard. 6. 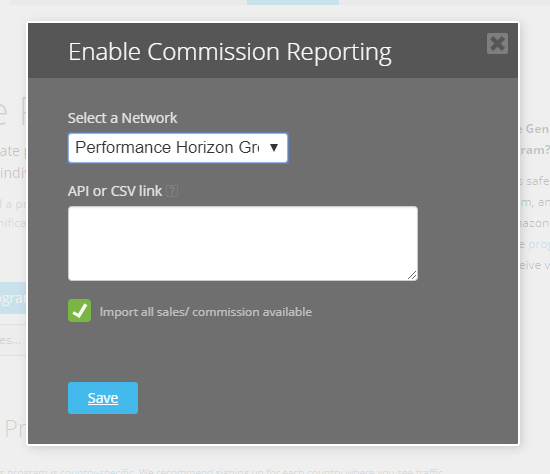 Click on the yellow "Enable commission reporting" box. 7. Select Partnerize from the drop down menu. 8. Paste the API or CSV link from your Partnerize Reporting page into the field provided and click Save. 9. On the Home page Performance report, be sure to select 'iTunes' from the All Links drop-down menu. 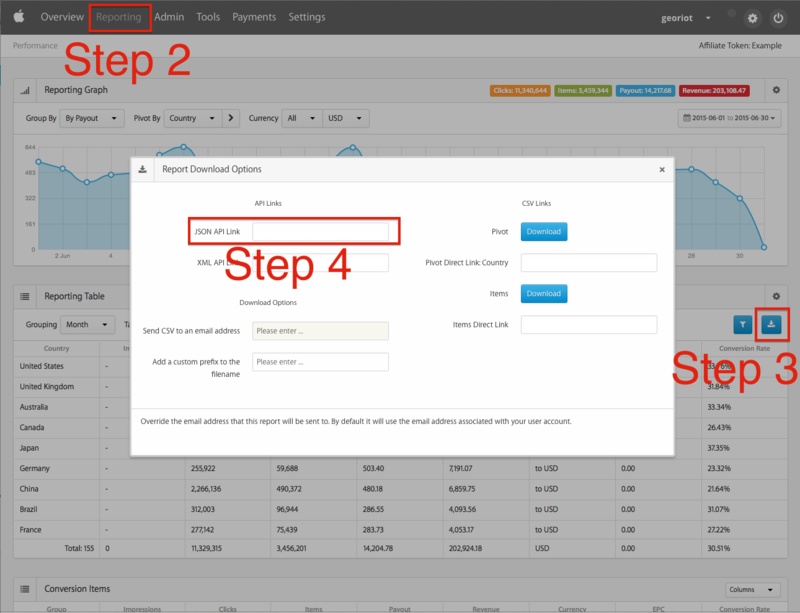 You will now see your commissions begin to populate as your clicks start converting to sales!